During his decade or so on earth, Stubby the terrier accomplished far more than some people (including me) will achieve in their human-length lifetimes. A Connecticut stray that became the most decorated dog in U.S. history, “Sergeant” Stubby‘s exploits during World War I include locating and rescuing the wounded, capturing a German spy, and warning American and French troops about mustard gas strikes. He endured gas attacks himself, as well as grenade wounds. For his 18 months of service, he was introduced to three presidents and given a cushy post-military gig as the mascot of the Georgetown Hoyas. Upon his death in 1926, the New York Times memorialized Sergeant Stubby with a half-page obituary, and his body was donated to the Smithsonian. To ask who’s a good boy in his presence would be an insult. I can’t say that the world needed “Sgt. 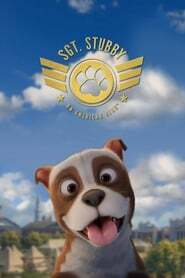 Stubby: An American Hero,” the new animated biopic (doggopic? pupperpic?) about a wordless creature who, despite a few movie-like touches, is more animal than Pixar-ish humanoid. Cartoon Stubby moves, acts and, most importantly, sounds like a real dog.